One of the inspiring things about running any company, organization, charity or even a home, is that we cannot do it alone, whether we truly recognize it or not. Everything in life intertwines in some way or another, and sometimes it’s easy to forget that others factor in to our success, our processes and our lives. At Donate A Car, some of the main contributors to our success are our agents. They are the tow drivers, the recycling depots and the auction houses that we rely on to take care of getting your vehicles where they need to go. They are the ones who process the vehicle information, the details, and the sales, so that your valuable donations can benefit your charity of choice! We do not underestimate their value, as they are often the only faces you’ll see representing Donate A Car Canada. Because we are a nationwide company, it is crucial to have agents aligned with us who understand the value of doing good and providing a service that supports a good cause. So how does our relationship with the agents work? 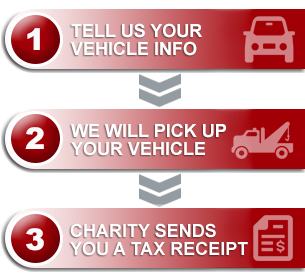 When a vehicle is submitted for donation, we assign it to be recycled or auctioned to an agent near the location of the vehicle. They are not paid staff of Donate A Car, but rather connections – the conduit – to ensuring your vehicles are picked up and processed. They are independent business owners and often offer their services to us at a reduced rate to ensure maximum benefit to the charities. We believe the lion’s share of credit for the success of our program goes to these dedicated people across Canada, who take what we do seriously and who take the steps necessary to ensure our donors are well cared for. We want to take this opportunity to acknowledge them and to offer our thanks for their part in not only making our jobs easier, but in representing us well and in making a difference for the charities we support through you, our donors.